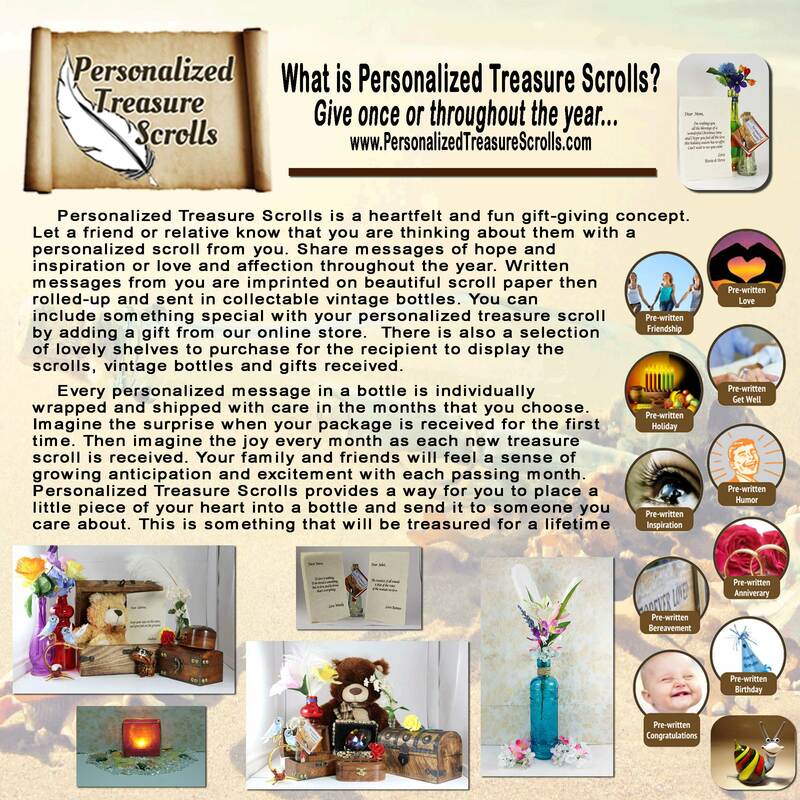 Personalized Treasure Scrolls is a unique gift idea. It's a message in a bottle gift and a whole lot more. Write a customized message using our Scroll writing application. Send one personalized scroll message or send the same person a year's worth of thoughtful sentiment. Let a friend or relative know that you are thinking about them with a personalized message in a bottle, one time or as often as you like. Share words of affection, inspiration or love throughout the year. 1. Write your message or select from an array of pre-written messages. All the words are editable so you can add a personal touch. Add a photo if you like and choose a shipping date. 2. 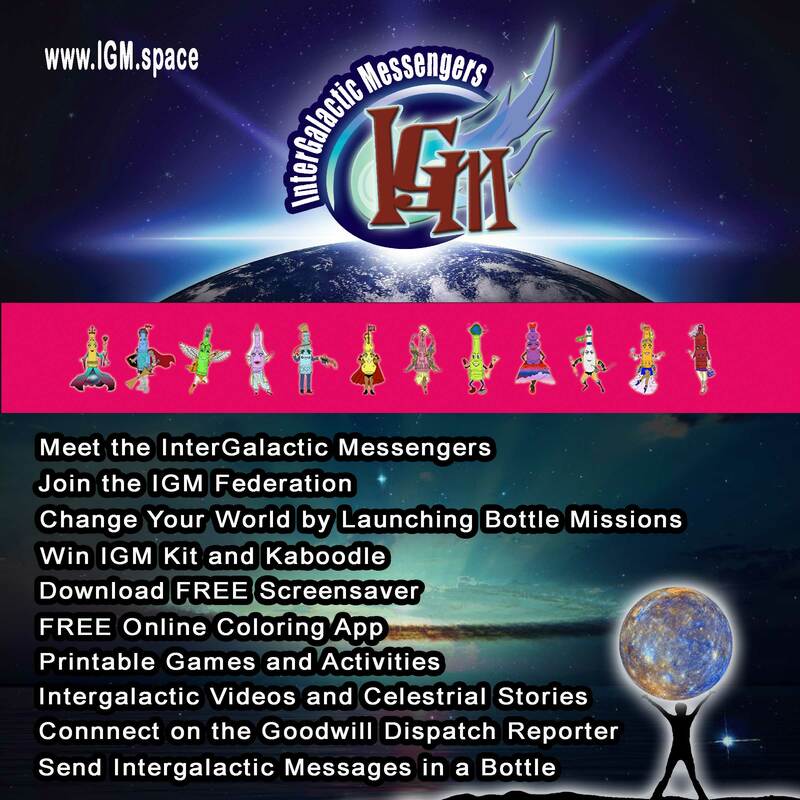 Select one of many beautiful vintage message bottle styles and colors. 3. Include something special with your personalized message in a bottle with a unique gift. There is also a selection of lovely shelves to display scrolls, vintage message bottles, and beautiful gifts. At this point, you may choose to send another message or finalize your order. It's that Easy! Next, you will receive a proof of your message scroll for a final look. 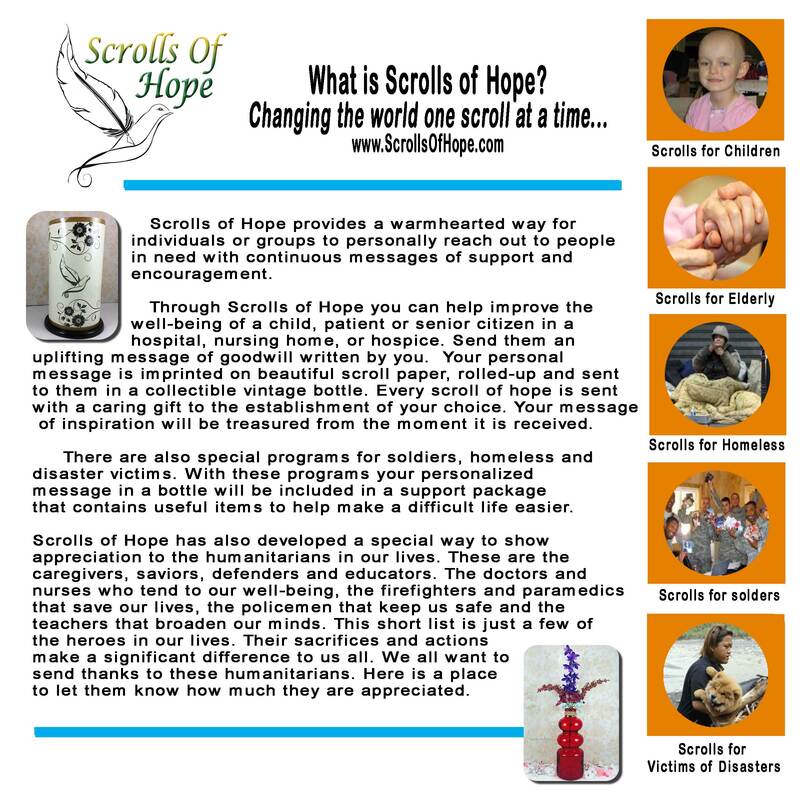 Once you approve your customized message scroll, your order will be shipped out within 24 business hours. 2019 © | Personalized Treasure Scrolls. All rights reserved. •	15 Martin Luther King's Birthday - observed on 18th this year. •	15 Singles Awareness Day - Are you single or in between relations? Then, this day is for you! •	11 Daylight Savings Begins at 2:00 a.m.
•	31 Passover begins at sundown, lasts 8 days. •	25 Administrative Professionals Day formerly "Secretaries Day"
•	22 Hammock Day ...relax and enjoy!